Presidential Palace Hanoi is a place where Ho Chi Minh President used to live and work from December 1954 to September 1969. This place is ranked in the list of 23 special national monument of the country. Presidential Palace Hanoi, constructed in 1900 by French architect Auguste Henri Vildieu, was intended to be Ho Chi Minh’s official residence but the Vietnamese leader had opted for a traditional Vietnamese stilt-house instead. The three-storey, mustard yellow building features 30 rooms built in colonial French architectural style, an orchard, carp pond, and a 91-metre long boulevard surrounded by lush gardens. As political gatherings are still held at Presidential Palace Hanoi, visitors are only allowed to explore the gardens and Ho Chi Minh’s stilt home with an entrance fee of VND 25,000. The peaceful grounds surrounding the palace are home to well-kept botanical gardens and lush fruit groves, making it an ideal place for those looking to escape the bustling Old Quarter during their holiday. 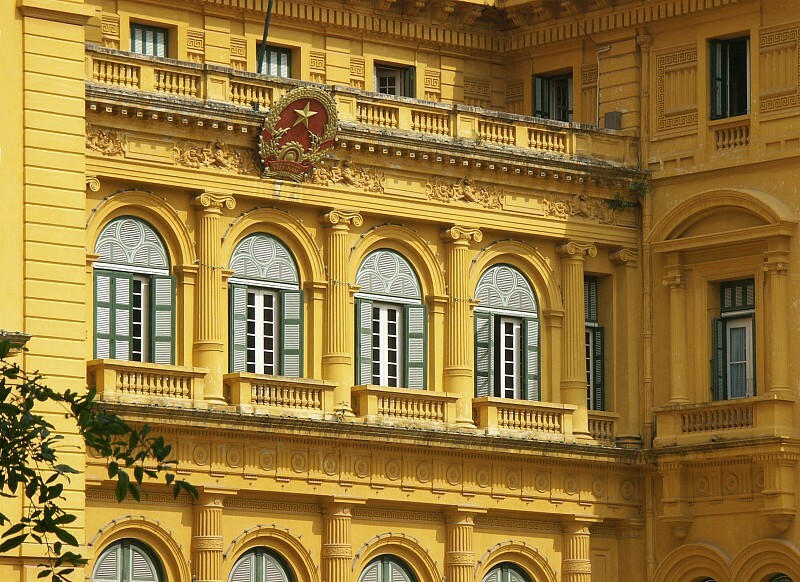 Located in Ba Ding District, Presidential Palace Hanoi is about 15 minutes from Hanoi Old Quarter via taxi. We highly recommended paying a visit to the One Pillar Pagoda, Ho Chi Minh Museum and Ho Chi Minh Mausoleum while you’re in this district as these landmarks are easily accessible on foot.